We can help you determine your food sensitivities. We use ALCAT testing to determine your allergic response to different foods. The ALCAT test requires a simple blood draw. Allergies are an abnormal response of the immune system. People who have allergies have an immune system that reacts to a usually harmless substance in the environment. This substance (pollen, mold, animal dander, etc.) is called an allergen. 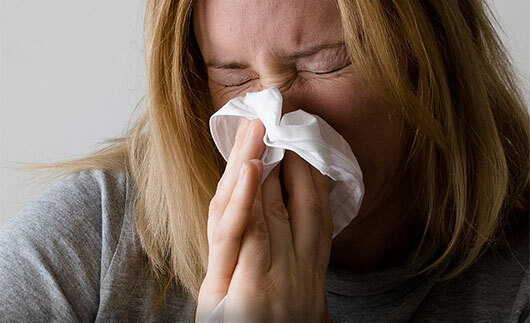 Allergies are a very common problem, affecting at least two out of every 10 Americans. if your problem is allergy related. Do your symptoms occur when you are outdoors or indoors, such as when you clean your house? Medicines help treat allergy symptoms once they strike, but there are several steps you can take to prevent symptoms altogether. Keep windows closed and use air conditioning if you’re allergic to pollen. Don’t use fans since they can stir up dust. Filter the air. Cover air conditioning vents with cheesecloth to filter pollen and use high efficiency particulate air filters. Clean air filters frequently and air ducts at least once a year. Keep the humidity in your house below 50% to prevent mold growth. Keep windows closed and set the air conditioner to use recirculated air if you are allergic to pollen. Don’t permit smoking in the car.